Figure 2. Wastegate Solenoid Wiring Harness and Clips. Figure 1. Wastegate Solenoid Wiring Harness Connector. 3. 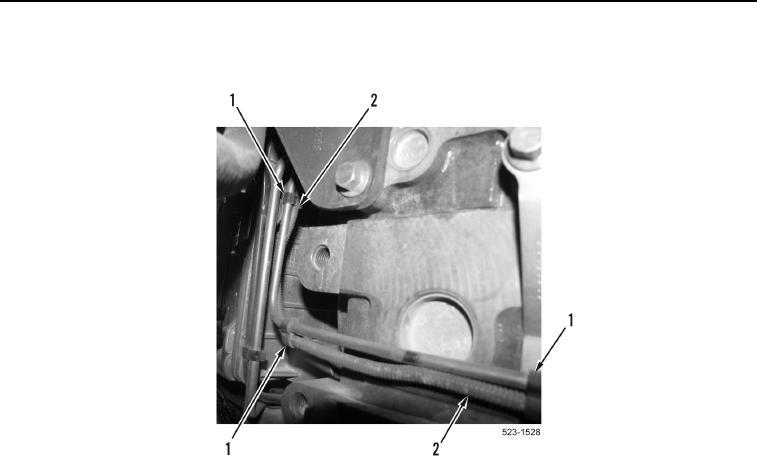 Remove wastegate solenoid wiring harness (Figure 2, Item 2) from clips (Figure 2, Item 1).